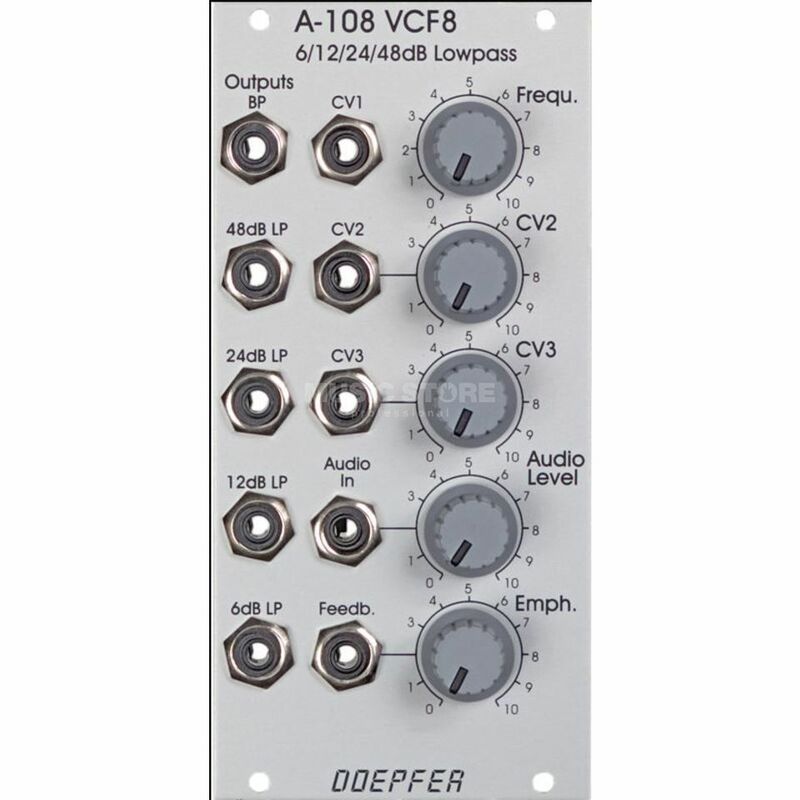 The Doepfer A-108 VCF8 is a voltage controlled low pass filter for the Eurorack A-100 system. Based on the Moog Ladder filter, the A-108 features 8 stages with different slopes ranging from 6dB per octave through to 48dB per octave. It also features a band pass output. The filter has a resonance control, called emphasis in this instance, and can be driven into self-oscillation and the audio input can be driven for warm effects through to distortion. The A-108 is a great module for the beginner rack as it provides a very warm and distinct filtering sound. Controls can be either manual or controlled by CV.